Want more from Messages app? Do you love your iPhone but hate the limited Messages app? Frustrated with missing basic functions that are available on most other cell phones? iRealSMS 3.0 fills the gap with Folders Inbox, Outbox, Sent, Drafts, Templates, custom Signature, Forwarding, Full Text Searching of all Messages, etc., and then comes with features such as VoiceOut and VoiceControl for hands free incoming message interaction, QuickReply, QuickSend, Contact Pics, Smileys, Forward via Mail, Privacy Settings, Sent-Notifications, Password Lock, better Character/SMS Counter & much more! Use it as a FULL Messages app replacement or just take advantage of the QuickReply & QuickSend. iRealSMS, Convenience... Optimized for your Lifestyle: iPhone - but with ALL features. To celebrate the awesome work of @evad3rs we do a Lottery! Win 1 of 694 iRealSMS, PwnTunes or PhotoAlbums+ licenses. Just follow us on twitter @iRealSMS and retweet https://twitter.com/iRealSMS/status/299211125294239745! All Apps ready for iOS 6.x! All our Apps (iRealSMS, PwnTunes and PhotoAlbums+) are ready for iOS 6.x now! PhotoAlbums+ and PwnTunes ready for iOS 6.X jailbreak! PhotoAlbums+ and PwnTunes are ready for the imminent iOS 6.X jailbreak. I want to thank @evad3rs in advance for their awesome work here! iRealSMS update is in the works! iRealSMS 3.0.5.0 for iOS 5.0! With iOS 5.0 officially released today we are happy to let you know that we have submitted a fresh build of iRealSMS 3.0 to BigBoss as well. It has many improvements over the last beta including full Notification Center integration. It is online with BigBoss now and should show as an update. You can also find it by adding our beta repo http://www.irealsms.com/beta_repo to Cydia's sources. iRealSMS 3.0.5.0 Beta for iOS 5.0! We just released the first beta of iRealSMS compatible with iOS 5.0. You can find it by adding our beta repo http://www.irealsms.com/beta_repo to Cydia's sources. iRealSMS 3.0.4.9 fixes minor bugs. The next update to iRealSMS will be the iOS 5 combability. Apple did change very much here as well and we are working hard to get a first beta out soon. We released the new tweak PhotoAlbums+ - Manage your iPhone/iPod Photo Albums on device without iTunes. You can find a video HERE. We just finished transfer to a new, more powerful, dedicated server which hopefully will stand even the biggest jailbreak release traffic. We again apologize for all inconveniences the server overload has caused. We are currently facing extreme high traffic due to limera1n and our server which already was upgraded just can't stand it right now. We apologize for all inconveniences and will try to get a faster server as soon as possible. Until then sadly both purchases and downloads of licenses are affected by this. 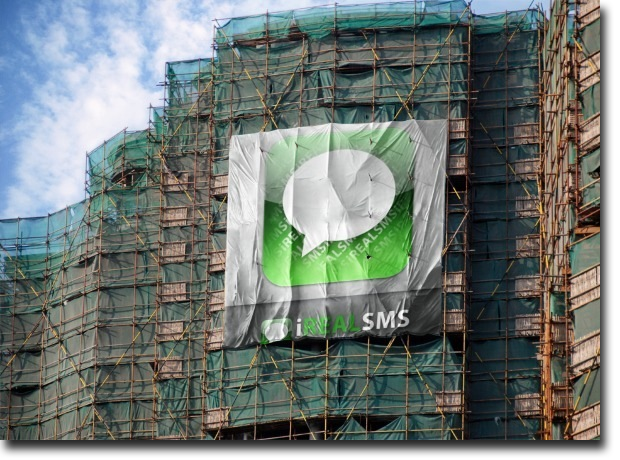 With iRealSMS 3.0.4.0 now out of beta after some days of hard bugfixing and live at BigBoss we are compatible with iOS 4.0! We want to encourage all users of iRealSMS 1.x, 2.0 and iRealQuickSMS to upgrade to iRealSMS 3.0 since in many ways it is superior anyway. Therefore we reduce prices for upgrades further to only 0.99 EUR (~1.21 $)! iRealSMS 3.0 will be on Sale (33% off) starting today at about 10PM MET. iRealSMS 3.0 has been released to BigBoss repo (thanks to him!). iRealSMS 3.0 release is planned for 5th of January. ...for iRealSMS 2.0 users. The Beta of iRealSMS 3.0 is almost over and with that the time where you can get it as a free upgrade - so take your chance and install the beta now before it's too late. iRealSMS 3.0 Beta has been released this Sunday and seems to enjoy great popularity - thanks guys!